Foer's unlikely journey from chronically forgetful science journalist to U.S. Memory Champion frames a revelatory exploration of the vast, hidden impact of memory on every aspect of our lives. On average, people squander 40 days annually compensating for things they've forgotten. Joshua Foer used to be one of those people. But after a year of memory training, he found himself in the finals of the U.S. Memory Championship. Even more important, Foer found a vital truth we too often forget: In every way that matters, we are the sum of our memories. 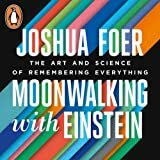 Moonwalking with Einstein draws on cutting-edge research, a surprising cultural history of memory, and venerable tricks of the mentalist's trade to transform our understanding of human remembering. Under the tutelage of top "mental athletes", he learns ancient techniques once employed by Cicero to memorize his speeches and by Medieval scholars to memorize entire books. Using methods that have been largely forgotten, Foer discovers that we can all dramatically improve our memories. Immersing himself obsessively in a quirky subculture of competitive memorizers, Foer learns to apply techniques that call on imagination as much as determination - showing that memorization can be anything but rote. From the PAO system, which converts numbers into lurid images, to the memory palace, in which memories are stored in the rooms of imaginary structures, Foer's experience shows that the World Memory Championships are less a test of memory than of perseverance and creativity. At a time when electronic devices have all but rendered our individual memories obsolete, Foer's bid to resurrect the forgotten art of remembering becomes an urgent quest. 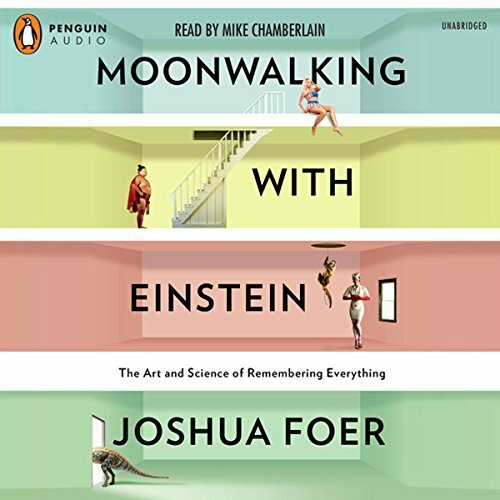 Moonwalking with Einstein brings Joshua Foer to the apex of the U.S. Memory Championship and readers to a profound appreciation of a gift we all possess but that too often slips our minds.